Coyotes have been roaming the forests in North America for around 2000 years. Coyotes are known as the most hunted animal in North America but still find ways to thrive. In today’s world, more than 500,000 coyotes are killed and hunted each year. Coyotes are a type of nocturnal animals that are highly active during the night. For a hunter, it is important to know the tips and tricks to kill coyotes during the night. It is challenging and exciting to hunt the coyotes at night. What Do You Need To Hunt Coyotes At Night? For being successful when hunting coyotes, choose to hunt early morning. Animals are most active during the early morning or late evening. Coyotes respond to the howl or siren and hunters start with the pre-sunrise to locate a group when they howl. Coyotes respond better during the late morning i.e. from dawn to 11:00 am. You need to pick the spot early before you plan to hunt during the late morning. Many hunters believe that you cannot call the coyotes in the middle of the day. It’s true during midday around lunch time. A coyote acts as an opportunist, they are curious about meals freely provided. During cold weather, coyotes are highly active. Coyotes are commonly seen in the middle of the day. The afternoon is a time that is very challenging for hunting the coyotes. However, if you perform good scouting, prepare a good setup with good locations then you will be successful. During the afternoon, hunters are usually lazy, they do not check the environment or wind and set themselves up in the sun. All these things result in making you off-guard when there is a coyote standing 20 feet away from the decoy. You can call the coyotes at any time of day but you should use good techniques. You can also call the coyotes during the evening which is the last chance of calling the song dog. Animal activity starts again at evening. This time period is the most productive for many hunters, but you will need to be patient. You need to pick the perfect place for sitting down while the sun is down and watch for the coyotes. Coyotes can also be seen when there is a waxing, full, waning moon or when there is no moon. A full moon is a difficult time for the hunters to hunt the coyotes as the coyotes see everything at night and have a full belly when they roam around in the daytime. The coyotes burn a lot of calories if they hunt regularly in winter. They want more food in winter. Fall is the best time to hunt coyotes. The weather is perfect to call coyotes. Young coyotes are usually out during the fall. 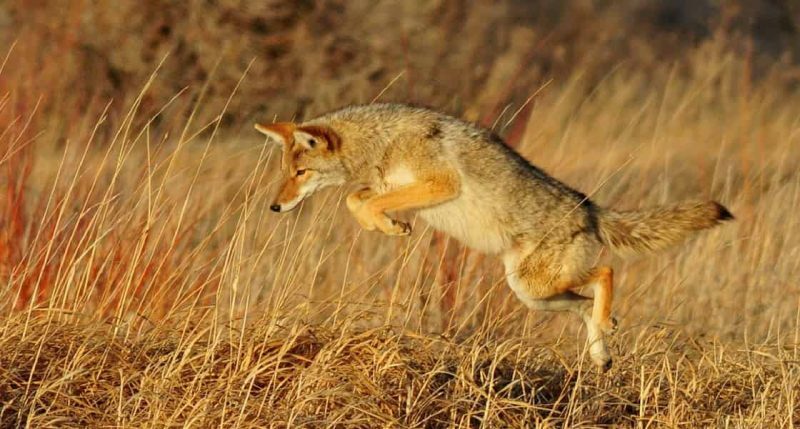 It is better to use prey distress sounds during this season for hunting the coyotes. Winter is the season where many hunters plan to hunt for coyotes. Coyotes spend most of their time in the daylight to hunt for food. Winters make them more active during the day but the food gets scarce. February 15th is known as the best date where coyotes will be breeding. During the spring, the coyotes are territorial and work on building their dens. The howls of the coyotes are known as the primary sounds which can be used for calling during this time of the season. You can also call coyotes with prey distress sounds but it’s better to use a combination of coyote vocals. When you are performing such type of hunting, it is usually successful. It is very challenging to mimic the howl of a coyote because you need to practice. Summer is the time which is considered as an off-season for hunters. However, many people still enjoy hunting coyotes in this season. Mostly decoy dogs are used for attracting the coyotes. Many other techniques are also used for hunting coyotes in summer. Scout the area properly where you plan to hunt the coyotes. Bring a bulk amount of water because you will be in remote areas. Bring extra food such as nuts, seeds and other high caloric snacks to keep yourself fueled during the hunt. Your vehicle should be fully loaded with the gas so that you can return back easily. You need to keep a fire starter pack in your vehicle or with you as you might need one in case of trouble. Keep a first aid kit in your backpack when you go hunting coyotes in the field. Wear complete camouflage i.e. cover the entire face which includes face net, cover the hands with camouflage gloves and torso with the camouflage clothes. The underside of your boots should be brown or black and not white. Your rifle should be prepared in order to shoot before you call. Make use of shooting sticks to minimize movement. As soon as you call, the coyotes will arrive, so be prepared. When you call, be patient and subtle with the body and hand movements. Be still when you are done with the calling sequence. Approach the hunting field from downwind. Hunting is a fun hobby and is a perfect way to make beautiful memories with friends and family. You must take precautions to deal with wild animals and firearms. Predators such as coyotes are also susceptible to diseases similar to other mammals. Take care of yourself while handling the animals and wear gloves. Avoid putting yourself in a challenging situation. Take the list of preparation very seriously. Make a perfect plan before you start hunting the coyotes and let others know about it. Be careful around the guns. Avoid any careless person who could pose any trouble or harm. This is a must item which you need for killing coyotes. It is not important that all rifles are best for hunting the coyotes, you can also make use of small guns for hunting coyotes. The ideal gun used for coyote hunting includes the shotgun. It is advised not to use the same rifle that you use when hunting deer. If you are using ammo, it is best to make use of the .223 Winchester round along with a rifle that has a good scope. For coyote hunting, it is advised to use the scopes which have huge objective lens along with high magnification. It is one of the most obvious things you need for coyote hunting. Coyotes have great vision both in day and night. You need to prevent yourself from being spotted by the coyotes when you are hunting them, so you need to camouflage. You can make use of a Ghillie suit to serve as camouflage. Electronic calls allow you to attract coyotes towards you and trick them. These calls come with a variety of different sounds. Hand calls also work great for this purpose. It all depends on your preference and which caller is best for hunting the coyotes. It is advised to hunt the coyotes at night on calm and cold days. So, it’s important to use gloves for this purpose. Gloves keep you warm and help keep your hands from being spotted under the moonlight. Scouting ahead is very important for hunting the coyotes during the night. For scouting, you will require a trail camera. These cameras provide you with an accurate picture of the location you are planning to hunt. You will also require a binocular pair for viewing the larger picture of the area where you plan to hunt the coyotes. Sound travels fast at night as compared to the day. The wind usually settles down at night and allows the sound of the hunter to achieve the maximum sound projection. Because of this, the distress sounds are played in low volume. Coyotes are usually vocal during the night and you can locate them easily by howling and then moving slightly closer to the played distress sounds. Hunters usually prefer to stay close to the high pitched sounds during the night and howl more during the day to get the perfect response which allows them to determine where the coyotes are located. Coyotes move slower during the night and stay downwind. 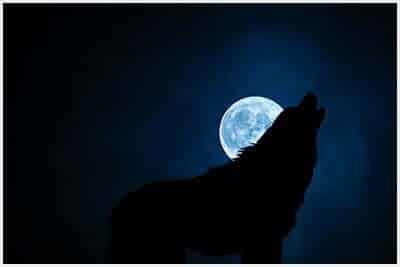 Begin with 2-3 interrogation howls, when you hear the response of the coyotes then howl back similarly. If there is no response, then blow up the COTTONTAIL DISTRESS call within a few minutes. First calling sequence includes continuous calls for 1 minute, then wait 15 seconds, then another minute, and again wait for 30 seconds, then call for 1 minute and then stop. Repeat the same sequence after a few minutes for as long as necessary. If you have located the coyote coming in your direction, reduce the calling volume or stop the call. Do the lip-squeaking which makes the coyote’s come running towards the call. This is similar to the rodent’s sound when in distress which serves as one of their staple food sources. You can also make use of the rodent squeaker call. Do not call again and again, just call to keep the coyote coming and make it interesting for them. Coyotes mostly circle in downwind direction, so it’s easier to predict their presence. However, they can also show up from behind. For stopping a coyote, softly bark or whistle. Shoot the coyote when it is in range. If you find two coyotes, kill the first one immediately which will make the second one-run Use a Ki-Yi i.e. the hurt coyote pup sound in distress with the help of a howler. It makes coyotes look back again because they are highly protective regarding their young ones. A thermal way is preferred for hunting coyotes at night. If you use a thermal rifle scope which is high-quality devices, you can view hundreds of animals in darkness. You need a device which is mounted and you must have a hand scanning devices. For lights, a wicked lights kit is also used that has a hand scanner along with the weapon mounted with light. It is comprised of the combination of all light colors. Night vision is also used but to achieve the high-quality image, you need a powerful IR scanner light which aids in the illumination of the object. You need to check the ATN setup if you are planning to opt for the thermal route with the use of a hand scanner such as monocular. Night vision is able to look through the glass, however thermal is not able to do so. You can make use of night vision to drive down a dark road and view the fields. For the thermal version, you need to roll down the windows. Follow, the local laws of your state before you plan to hunt coyotes. Coyote hunting at night is simple with the use of shotgun which is easier than using a rifle. 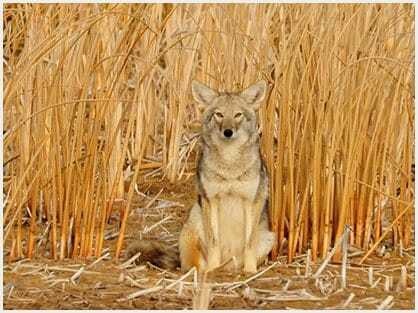 Hunters use shotguns if there are more than one coyote present in the shotgun range. You should be comfortable enough to have both guns available on the single stand. A shotgun is useful for hunters when the coyotes are closer and they should be close enough to be in shooting range. A shotgun allows you to call in areas where you wouldn’t have considered before. Such areas include the following: river bottoms, thick brush, dense cedar pockets, and many others. If you add a shotgun to your pack, you can open up a new world of hunting areas. Coyote light manufactures are designed with high-quality professional type LED lights which are made in the USA. The coyote lights are utilized for hunting hogs and predators. These lights are also used for military, pest control, law enforcement, and emergency applications. Coyote lights are known as the leader in the night hunting market because it is highly versatile, performs well and is unbeatable in the long run. The coyote lights can be easily mounted to a rifle. There are hunters who prefer to hunt coyotes at night without using light. You should learn the simple tips to hunt coyotes during the night without the use of light. You need to scout the location where you prefer to hunt during the day. While scouting, you need to identify the locations which frequently have coyotes. Map all the locations where the coyotes are frequently found before you hunt them. Coyotes can also be found around watering holes. When you scout prior to hunting, it enables you to hunt easily at night. You can make use of prey distress sounds which can call the coyotes and attract them during the night. Equip yourself with a rifle which has a perfect scope and uses the huge objective lens with high magnification. It is preferred to use the objective lens of 50 mm. You can also use a rifle with an additional illuminated reticle which does a great job spotting a coyote during the night time. Coyotes are agile and cunning animals that can view things better during the night time. However, hunting coyotes at night put your life in danger. Most people ask the question, how is it possible to spot coyotes at night? The best method to hunt coyotes at night includes the use of lights such as red and green lights. It is advised to use the red light if you plan to hunt in an area with moisture present in air, thicker cover and a small area. You can also make use of a green light if you are planning to hunt in an open field which has no moisture. Also, you can use a spotlight for hunting the coyotes which allow you to scan the area. Thus, it is better to not only rely on the rifle which has a mounted light. You should not switch on or off the lights when calling when you are hunting the coyotes in the southwestern or the western states. Use of red lights for hunting coyotes is preferred by many individuals but other people also believe in using the headlight which has an adjustable focus along with multiple LEDs for better vision. You must know the exact location where the coyotes are commonly found. According to the personal experiences shared by hunters, coyotes are mostly found in brushy creeks, swampy areas, river-bottoms and other places infested by varmints and small rodents. Coyotes can also be seen near the sheep ranches. The U.S. Fish and Wildlife Service states that 20% of lambs are lost in each one of the ten ranches. This indicates that coyotes enjoying being around lambs near ranches. Hunting coyotes depend on the day and time of the hunt. It is not advised to hunt coyotes on windy days. These nocturnal animals have a sharp sense of smell which can easily sniff and locate the hunter. It is advised that the best time for hunting coyotes is on calm and cold days. You need to be stealthy if you want to hunt coyotes. If you have gone to that area on a car for hunting the coyote, then stop it as far as possible, without banging the door of your car. Avoid making any type of noises if you are hunting with a friend or a partner. It depends on different hunters for what they prefer regarding the use of electronic calls, or for how long you should use the electronic call. The general rule of thumb includes the use of electronic calls in open areas for louder and longer calls. If you are approaching the same areas where coyotes are usually hunted, then it will be very challenging to hunt a coyote if you are a new hunter. Coyotes are very smart and do not fall for the same techniques and tricks followed by other hunters. It is important to be patient while hunting coyotes. One of the controversial technique which you can use for coyote hunting includes the use of a dog. Predator animals such as coyotes kill dogs. If you possess a loyal hunting dog, you can use it to help hunt for coyotes. However, be sure to avoid letting the dog wander far away from your spot. You need to make sure that the dog you are using is able to take command and has an ability to outpace coyotes. It’s not just enough to read articles, books or watching videos on how to hunt, you can only really learn how to hunt coyotes by going out and hunting. You might fail the first time you attempt to hunt the coyotes but keep trying as you can only learn from your mistakes. However, safety should be the first priority of a hunter. Avoid putting yourself in a dangerous situation. Always make sure that you have completed the scouting and you have the complete set of equipment in your bag. Thanks for your concern. We have recently published a review article related to coyote calls! You may like that. Please give us your opinion and ideas.